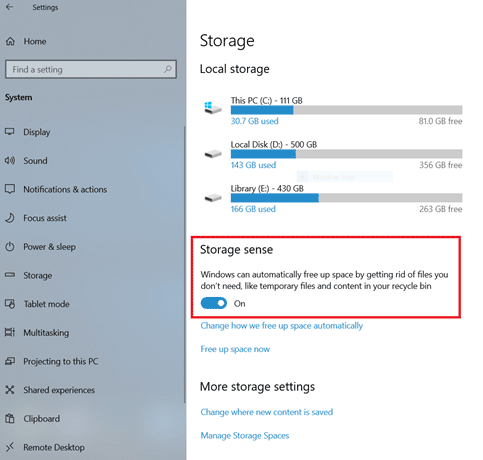 Home / Windows 10 / How to Use Disk Cleanup on Windows 10? If your PC is low on storage and thus you can’t download a large file or install a new game, there are a few methods you can use to clean your drive and free up some spare gigabytes. Of course, maybe the most efficient way to get some space is to delete non-useful data like apps, large media files, or games. But if you can’t delete content or that’s simply not enough, there is a built-in Windows utility which allows you to get rid of the hidden system files you can’t access in the File Explorer. Usually, these files using a lot of your storage and in most cases, a user does not need them at all. 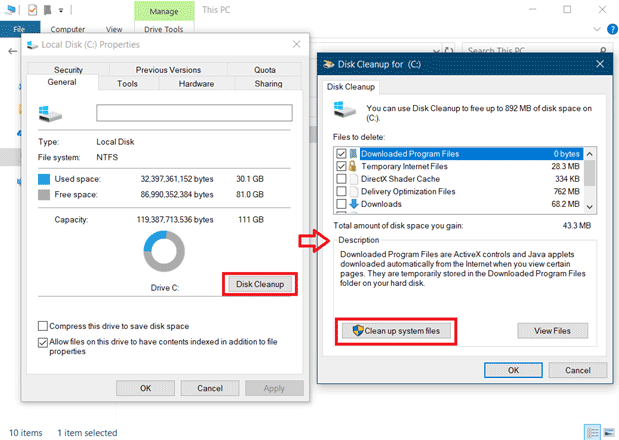 This article will tell you how to use disk cleanup in Windows 10. In the most recent Windows 10 update (October 2018 Update) Microsoft has duplicated disk cleanup utility in Windows 10. You can use either modern Settings app or the old Control Panel section. Since Windows 10 October 2018 Update is not the most popular Windows 10 version yet, we will show you how to use both methods. Open Settings and then press System > Storage. Scroll down and click Free up space now. This will open the new Windows 10 system cleanup utility. Widows will list files you can safely remove. Don’t worry about them – they are all safe to delete and you won’t harm the system. You may notice that some files take more than 10 Gb. These are usually previous Windows installation. Think twice before you delete this. If you delete previous Windows installation you won’t be able to roll back your system to the previous build if you encounter some bugs or errors. If you are OK with this, you can delete everything including previous Windows installation. Please notice! Disk cleanup system includes your Downloads folders and Recycle Bin. By default, these sections are not checked for the sake of your safety – you won’t delete them accidentally. Check everything you want to delete and then press Remove files. If the size of the files you have selected is large, deleting procedure may take some time, so be patient and wait until utility is done. 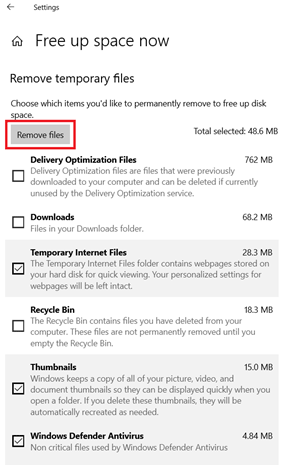 If you want, you can allow Windows automatically delete useless files (temporary Windows files and Recycle Bin contents). 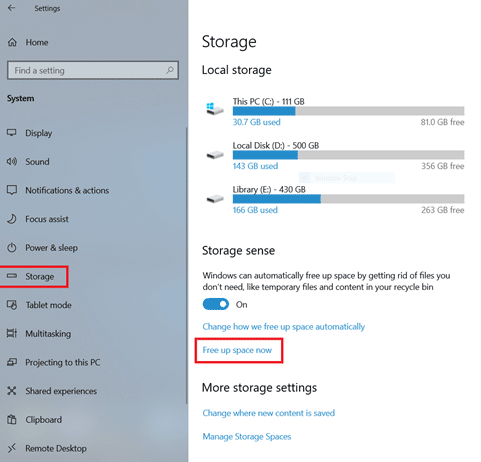 To do this go to Settings > System > Storage and turn on Storage Sense. Windows will send you a disk cleanup report every time it deletes some data you don’t need. If you are on Windows 10 1803 or earlier, you will have to use the old Control Panel section to perform disk cleanup. Open the File Explorer and click left mouse button on your system drive. 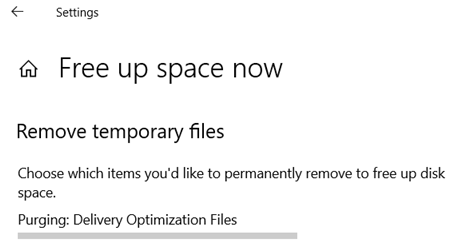 Select Properties > Disk Cleanup. You can also press Win + R and type “cleanmgr.exe” to directly run this utility. Check on every category you want to delete and then press Cleanup system files. Wait until everything is done. Enjoy your free storage space. Unfortunately, previous Windows 10 versions can’t automatically delete temporary system apps, so you will have to do it manually every time you are on low storage or when you want to free up some space. Maybe for someone, this will be an additional reason to update PC to Windows 10 October 2018 Update and newer.